Which Cabrinha 2016 kite is right for me? 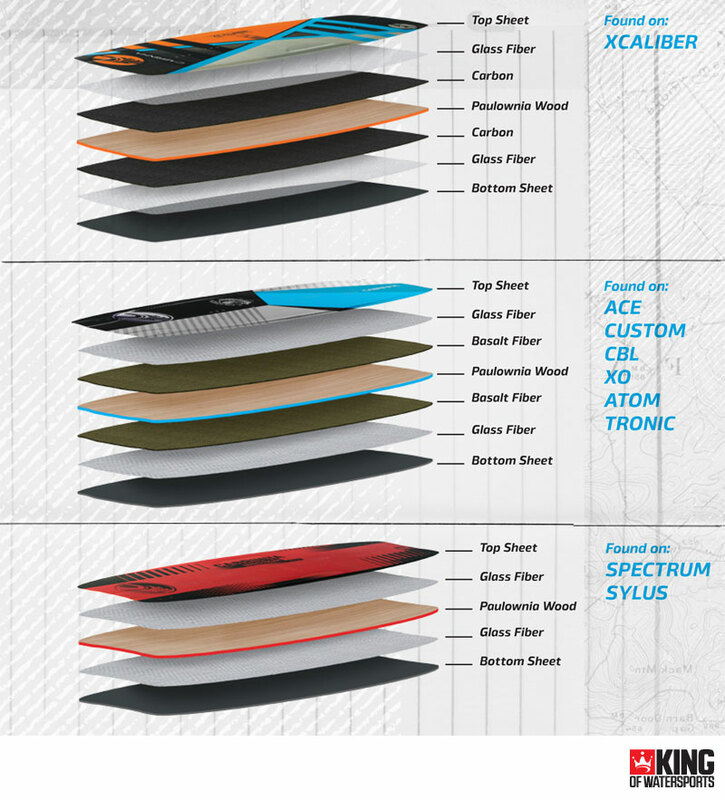 Which Cabrinha 2016 kiteboard is right for me? How are the Cabrinha 2016 twintip kiteboards constructed? What size Cabrinha 2016 kite surfboard do I need? How are the Cabrinha 2016 kite surfboards constructed? What is the difference between GFN & RTM fins? Cabrinha has seven kites in it's 2016 line-up and each one is designed to excel in different conditions & disciplines. 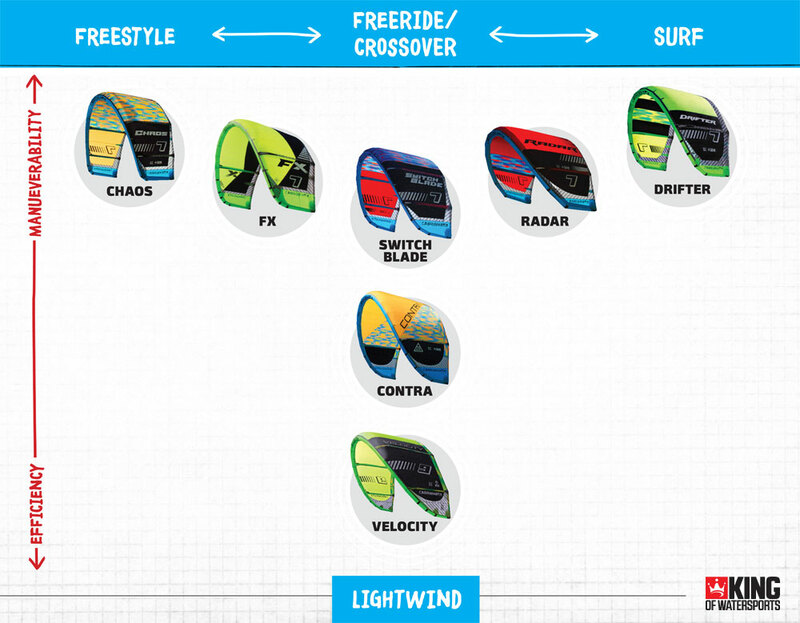 The below chart makes it easy to see which Cabrinha 2016 kitesurf kite is best suited for your chosen style. The many different kite shapes in the Cabrinha 2016 range ensure that there is a kite suitable for any condition. Each Cabrinha 2016 kite shape offers characterists that are needed to perform in a particular style. The Outline of the board dictates the type of riding a board is suitable for more than any other feature. Length is the first place to start when choosing a Cabrinha 2016 kite surfboard. A general rule for choosing a kite board is to ride a board which is approximately 2-3 inches smaller than your height. Width of a kite surfboard helps determine the volume as well as how much curve the board’s outline will have. Wider boards generally have more curve (as well as more volume). Wider boards are lively under your feet, especially in lighter winds or smaller waves. Volume is an important factor when choosing a Cabrinha 2016 surfboard. Volume is made up of a combination of length, width, and the board’s thickness. Volume is an important element, especially in lighter winds and smaller waves. However, when the wind is strong and the waves are bigger, too much volume will work against you. 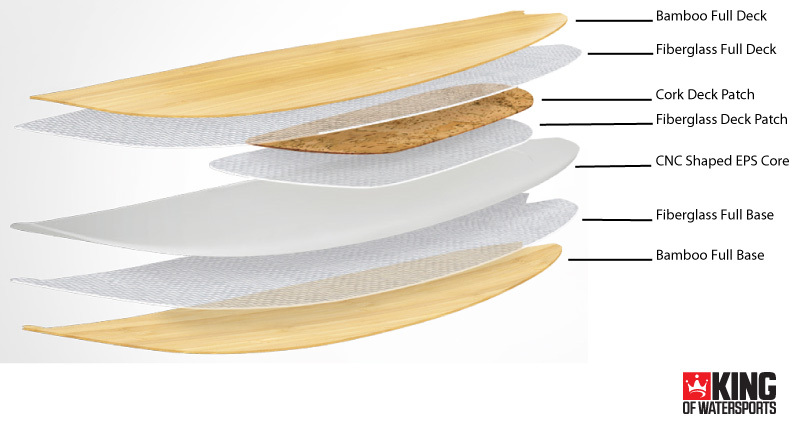 All Cabrinha 2016 surfboards are constructed with their ultra durable Bamboo Sandwich layup. This construction features a super light EPS core and bamboo reinforcement layer on both the top and bottom of the board. Cabrinha's glass filled nylon (GFN) fins offer a more affordable yet durable fin option. They have a slightly softer flex throughout the entire fin which translates into a dampened ride, especially in choppy waters. Made with a hex core and glass, this fin has a stiffer base and a moderately soft tip. The hex core fin provides excellent drive.